It seems like it was ages ago now, yet it was only 4 days ago. We knew this year father's day would be hard as it would be the first one without my Grandad, although I am sure he was still there with us. As I have said before my Grandad was a very keen fisherman. He would be fishing at any opportunity. He even went when he was ill, we think this must have been his last trip fishing, he became so weak after this, and I know he was desperate to go again. 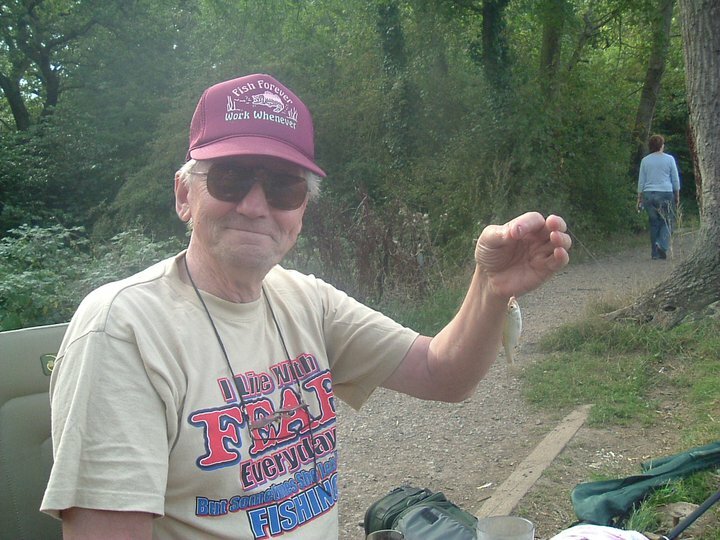 One evening my Dad lay with him on the bed (he was bed bound for about 4 months at the end) the 2 of them pretended they were fishing and lay there casting out their rods and lay there talking about what they had caught - strangely enough, they didn't catch anything : ) but they had a laugh. We were so pleased that he kept his sense of humour right till the end. So back to the fishing. There was one lake in particular where he used to spend a lot of his time. In his memory and for Father's Day we arranged for a bench to be placed near his fishing spot and we went to see it for the first time on Sunday. 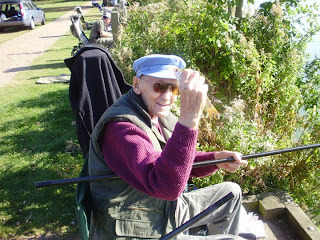 This is the view of the lake from the bench, you can see his fishing peg on the right. The first family photo since March. I will be honest, it still doesn't feel real, it doesn't feel as though it has happened and I know this will probably be the case for quite some time. It has taken me ages to write this post and even now just before posting I am finding it hard to see the screen where my eyes are blurred from tears. I miss him so much, and will miss him for the rest of my life. But I know I am lucky, many people live their lives never having known their grandparents so I am grateful for this opportunity, but it doesn't make it any easier now that I have lost him to this cruel and evil disease. 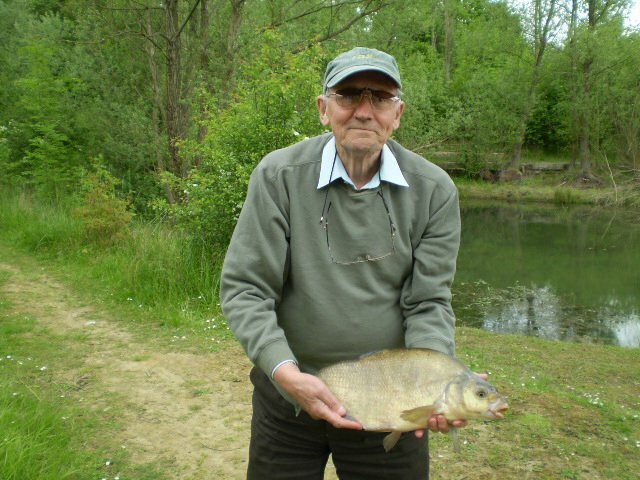 I love you and miss you Grandad and I hope you are catching plenty of fish, whilst you are fishing in heaven. This post filled me up with tears too. I'm so sorry for your loss and hopefully each day you will feel better about it all. Like you said I'm sure he was with you all that day. The bench is such a lovely way to remember him and his fishing!